For those of us lucky enough to live by the beach, there’s nothing better than hitting the ocean. 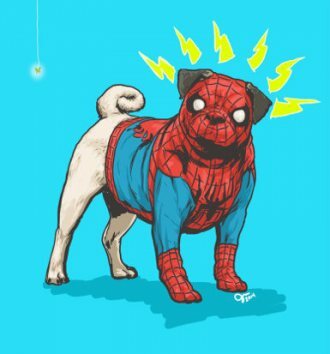 But what about bringing man’s best friends with you on your next surf? 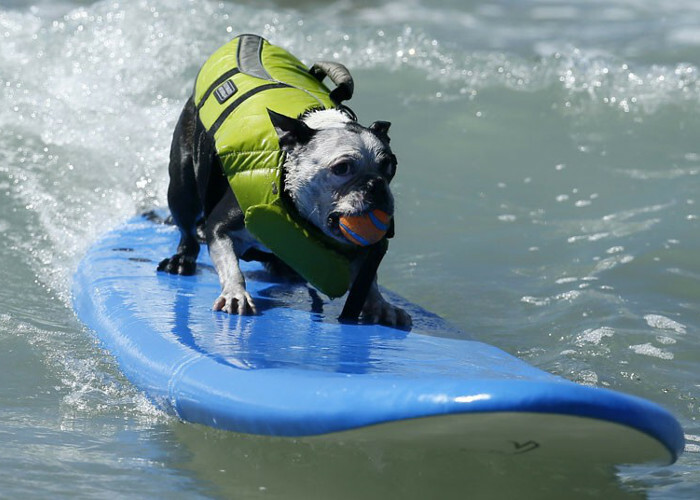 Believe it or not – dogs can surf! The waves were pumping this past weekend for the 10th annual Surf Dog Competition in California, USA, which pitted the best surfing dogs against each other for ultimate glory. With over 50 dogs competing this year from across the U.S, the most fearless dogs jumped on their boards, paddled out and hung 20 at Imperial Beach in California. The competition was split into 5 categories – small, medium, large and extra large surf dog heats were separated by the size of the dogs. There was also a tandem heat for the truly skilled dogs, which involved 2 dogs riding one board. 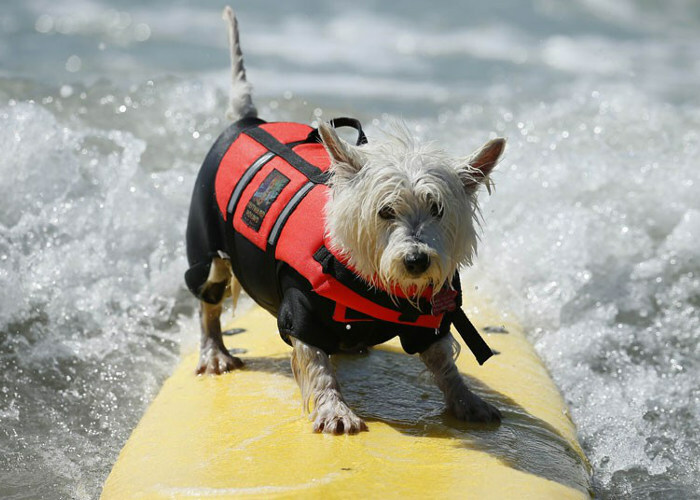 Each dog was awarded points for his or her ability to catch a wave and for time spent on the board. 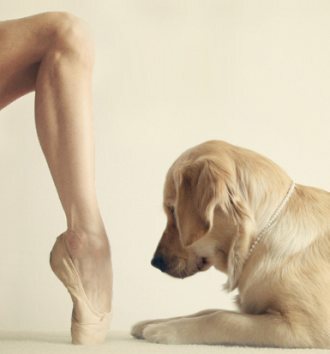 The dog would be penalised for having to bail from the board before completing the ride. 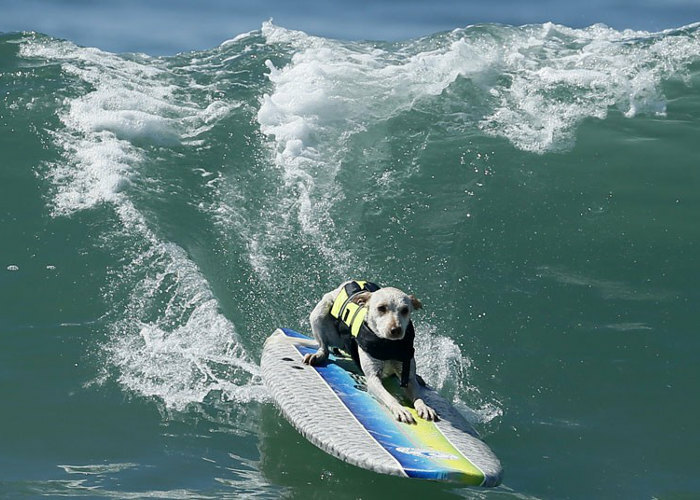 Although some dogs needed some assistance from their owners in getting on the board, the rules were that owners had to let go of the board and let the dog ride the full length of the wave. The longest time riding a wave was 15 seconds! 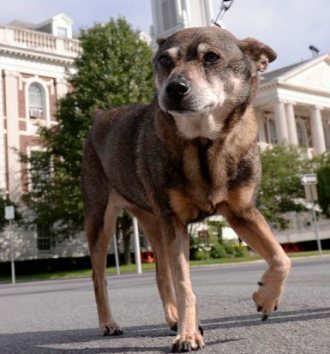 At the end of the competition, awards were given to the best dogs in each heat. 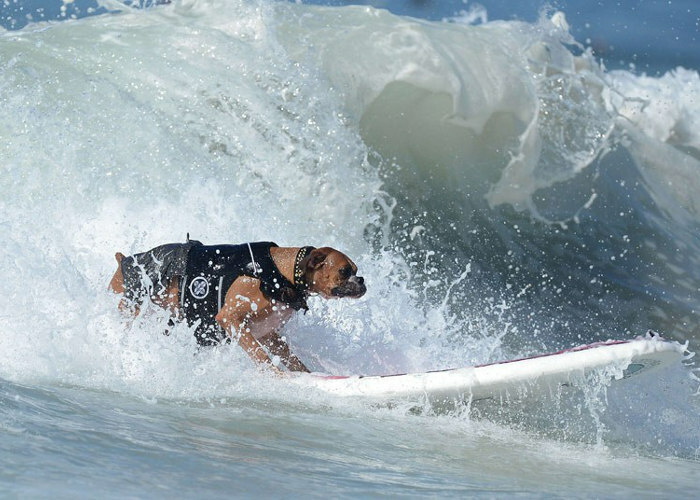 Who said dogs can’t surf!